Russia (Rossiyskaya Federatsiya) is the world’s largest country. It sprawls across eastern Europe and northern Asia. Four-fifths of the people live in the European part of Russia, west of the Ural Mountains. The capital is Moscow. 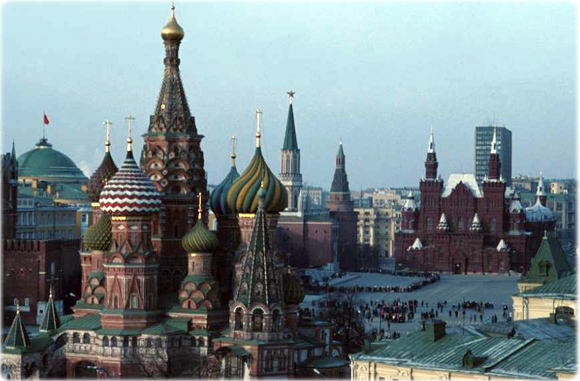 In the 14th and 15th centuries a powerful Russian state began to grow around Moscow. 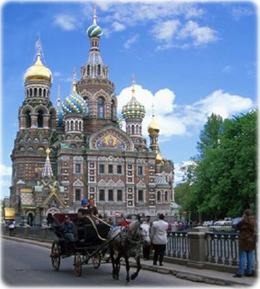 Russia emerged as a great power during the reign of Peter the Great, who moved the seat of government to Saint Petersburg, in 1712. The massive Russian Empire reached its greatest size in 1914, before World War I. Moscow regained its capital status after the socialist revolution in 1917. In 1922 they founded the Union of Soviet Socialist Republics (USSR). Russia was the largest and most powerful Soviet republic. After the Soviet Union broke apart in 1991, Russia began transforming itself into a democratic society. Copyright © Geographic Guide - Travel and Tourist Guide. European Russia, Moscow and St. Petersburg. Siberia and Ural mountains. City of Kirov, Perm, Ufa.